When isn’t Sin bad? When she’s a sixteen year old girl who’s just trying to adjust to her new life as a Druid without blowing anything up or punching that arrogant Fey prince in the nose. She’s pierced and tattooed and she prefers biker boots to spiky heels. And she won’t take crap from anyone, not even the Queen of the Fey. My name is Sin. I killed a man in self-defense when I was sixteen. Not something a girl wants to brag about. My dad wanted to lock me up in the nut house, but Mom sent me packing to my great aunts in St. Charles, IL. They’re ancient druid priestesses, and they make me look like a pacifist. I’d barely unpacked before the aunts sent me to find the stolen hellhounds. Without the hounds to herd them to the underworld, the souls of the dead are flocking to the cities. If they’re still hanging around after three days, they’ll turn into flesh eating, brain feasting zombies. Van, an annoying but uber-hot Fey Prince, joins us in the hunt to find the hounds before the zombies overrun St. Charles and turn the cities into cemeteries. 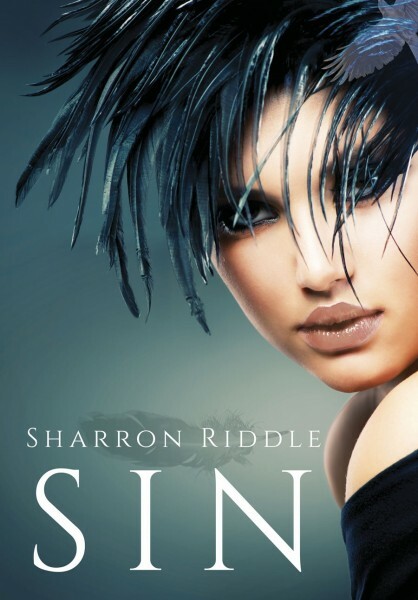 Sin is the first book in the series. I hope you’ll join her, Fea, Van, and Llaw on their perilous quest to rid the planet of zombies while treading cautiously through the hierarchy of the apathetic Fey. Sin is available on Amazon here. Sharron Riddle lives on the west coast of Florida with her husband and her spoiled dog, Reno. She loves reading almost as much as she does writing. She wrote her first story at the age of four. Once she began typing, she never stopped. 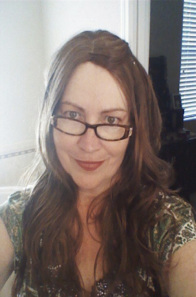 Sharron loves all things scary, and shares her love of the macabre in her adult, New Adult and young adult paranormal adventures. Follow her on Twitter at @RiddleMeAStory here.